For convenience and additional security, use Single Sign On (SSO) to sign in to your system using your Google or Microsoft accounts. You can also choose to restrict logins to your Current RMS system to Google or Microsoft accounts, meaning people can only sign in using accounts from those services. 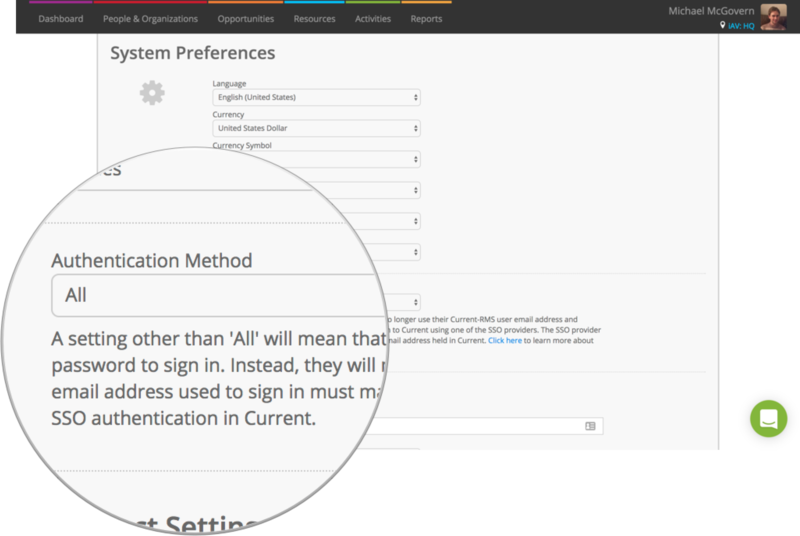 Why use Single Sign On (SSO)? Log in with the same account details you use to log into your email or other company systems. 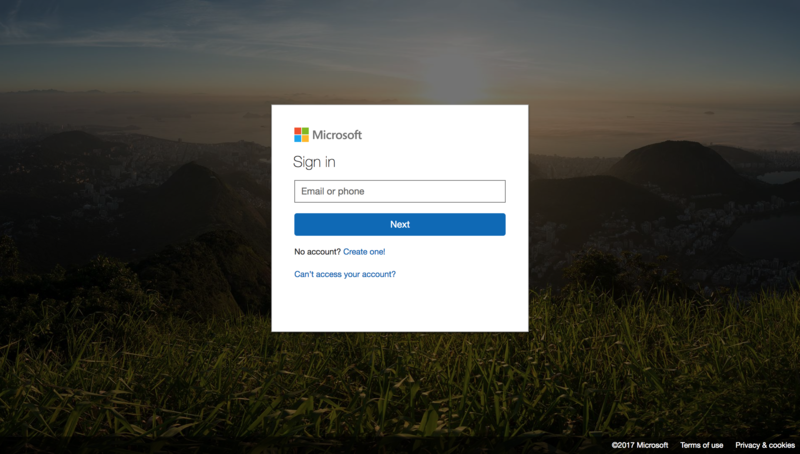 If you’re already signed in with Google or Microsoft, you’ll be taken straight to your Dashboard when you hit the sign in button. Your company’s system administrator can manage your Google or Microsoft account and set security policies for it, such as enabling two factor authentication. To keep your account secure, we recommend all users enable Single Sign On (SSO) with Google or Microsoft or turn on two factor authentication for their Current RMS account. 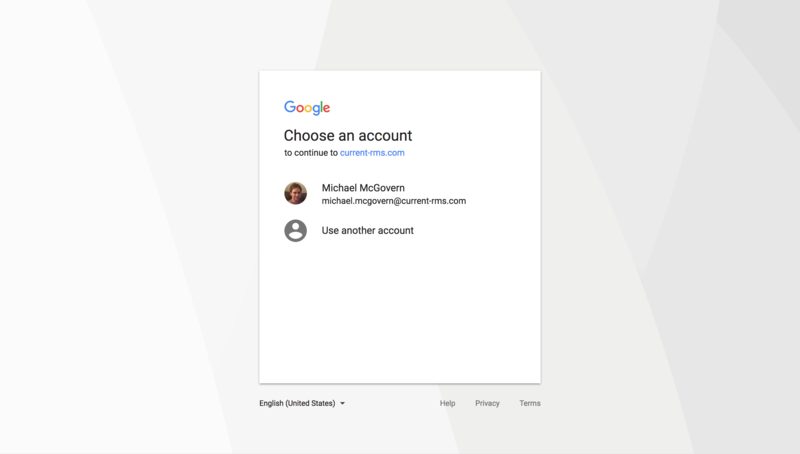 You may use any type of Google account (personal or business) provided the email address associated with the Google account matches one stored against a Current RMS user. Click Sign in with Google on your company’s sign in screen to get started. Choose a Google Account or enter your Google account email address and password. You can use a Microsoft account that is associated with an Azure Active Directory or Federation Services account. The active directory record’s email address attribute must be populated as this is used to find a matching Current RMS user. Click Sign in with Microsoft and enter your Microsoft account email address to get started. 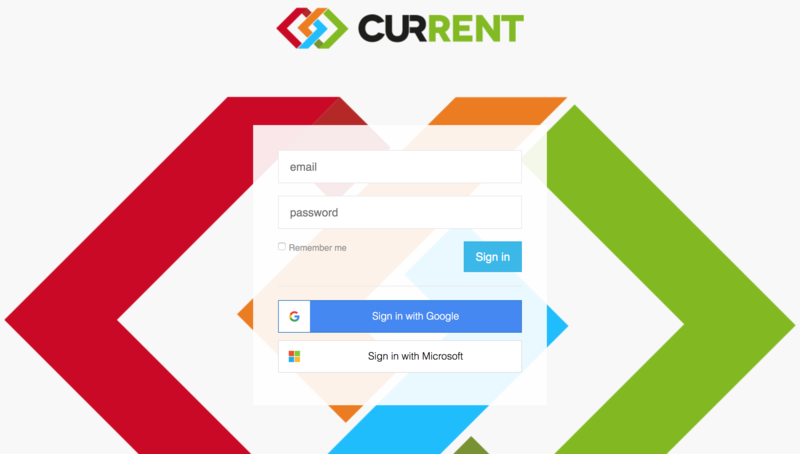 By default, you can sign in to Current RMS using your Current RMS user account details, a Google account, or a Microsoft account. If you like, you can restrict logins to your Current RMS system to Google or Microsoft. Head to System Preferences and use the “Authentication Method” drop-down to do this. ⚠️ Make sure you can log in successfully using Google or Microsoft BEFORE changing your authentication method. Choosing a method other than “All” will mean your users will no longer be able to sign in with their Current RMS account details; they must use an account from the chosen provider with a matching email address. If you do not have a valid Google or Microsoft account with a matching user email address, you can lock yourself out of your system. Forgotten your password? Change it by editing your user profile. Click your user picture at the top-right and choose Edit your profile from the menu to change. When adding new users to your system, you’ll need to enter a password even if you’re restricting logins to Google or Microsoft.